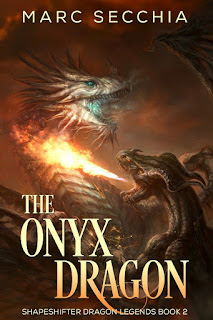 Marc Secchia: The Onyx Dragon is here! The Onyx Dragon is here! Time to saddle up for your next crazy Dragonride, because The Onyx Dragon is here! 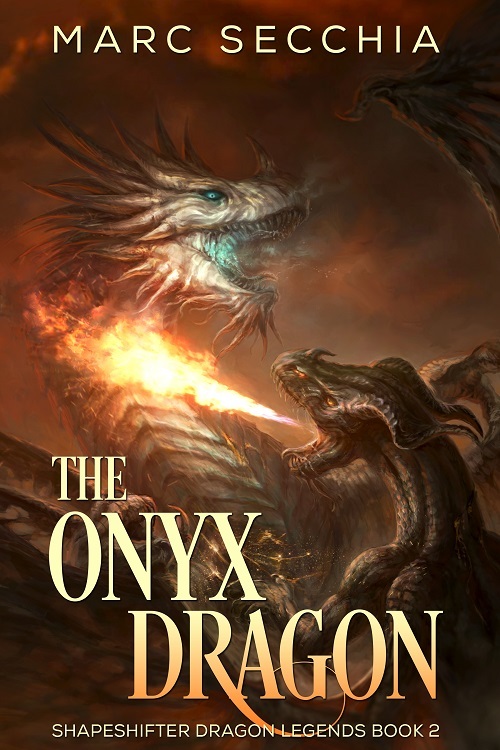 The Onyx Dragon is my latest release and follows The Pygmy Dragon, a bestselling Dragon fantasy described by an Amazon Vine Voice reviewer as, "great, fun, wildly imaginative narrative" and by Stephen J Myers as "beautiful and moving." This is a clean read suitable for teens and up and picks up directly from where The Pygmy Dragon left off as Pip and her friends set out across the Island-World in search of the secrets of her heritage, hoping for a miracle that will help them to defeat the Marshal of Herimor and his hordes of Dragon Assassins. Can Pip save her beloved Dragons, or will the fires of draconic life be snuffed out forever. To celebrate I'm running a giveaway of another bestselling book, Dragonfriend - make sure you enter for your chance to win a complimentary copy! My 7 dragon books have 450+ 5* reviews on Amazon overall and are all Top 100 Bestsellers - if you haven't discovered them yet, warm up your Kindle or borrow them on Kindle Unlimited! But be warned, they have been known to cause sleepless nights, heart palpitations and unrestrained laughter in empty rooms ... because I love to entertain my readers and to transport them to majestic fantasy worlds. Dive in! Dive deep! Any time frame on audio books for the onyx dragon? Thank you for asking. It's a money issue I'm afraid, the narrator changed their mind on what they were asking for production and I can't afford the same guy now. Did you think the performance of the narrator on The Pygmy Dragon was good enough to justify using him The Onyx Dragon? We really enjoyed the audio books on our trips. As for the money I cannot say. I have listened to many through audible different narrators and they were all great.